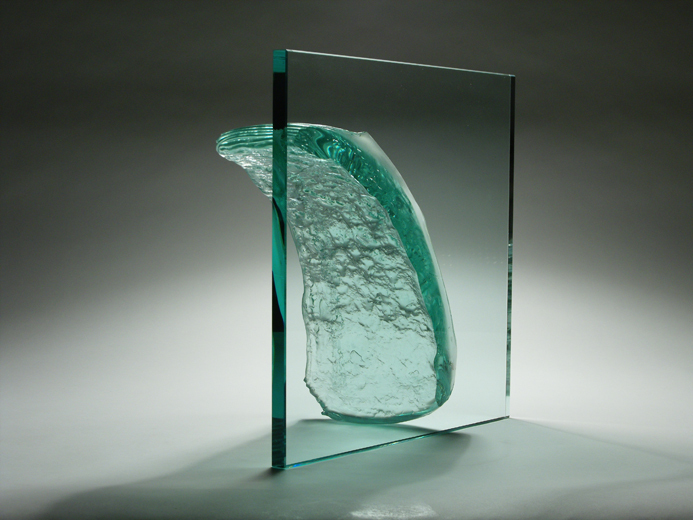 Window glass slumped onto volcanic stone. 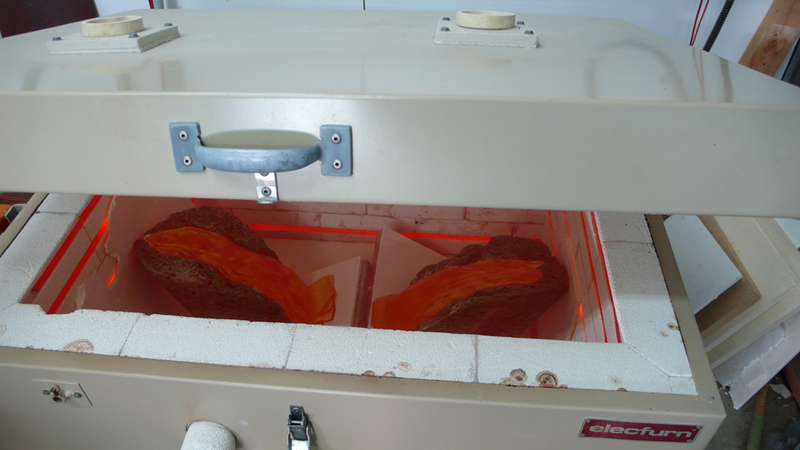 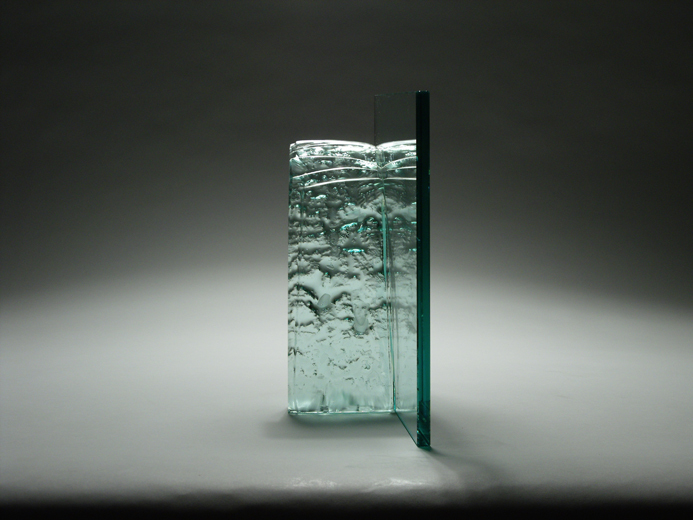 300 x 300 x 100mm, 600 x 600 x 240mm. 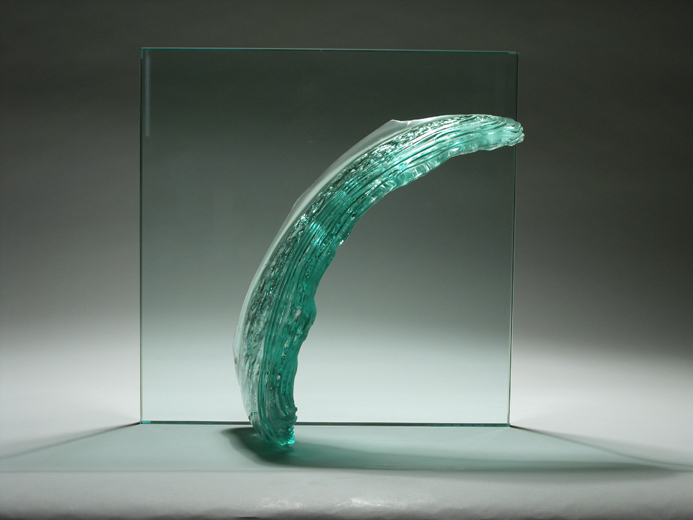 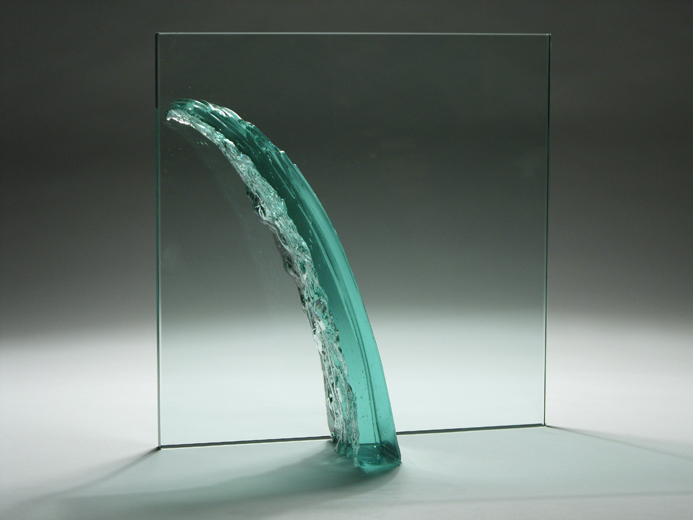 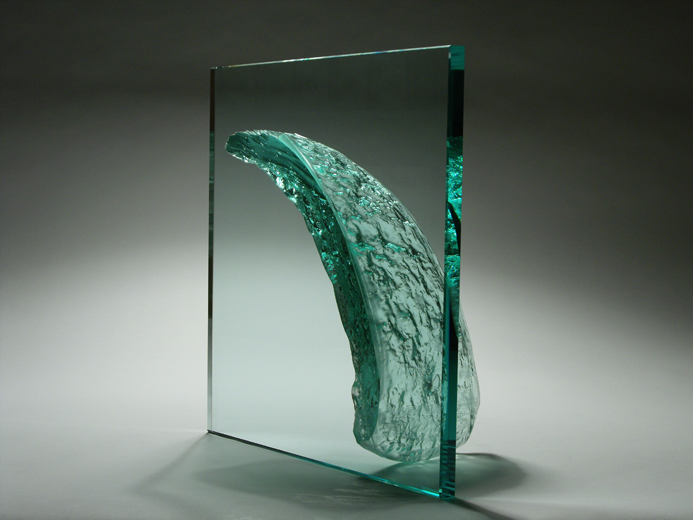 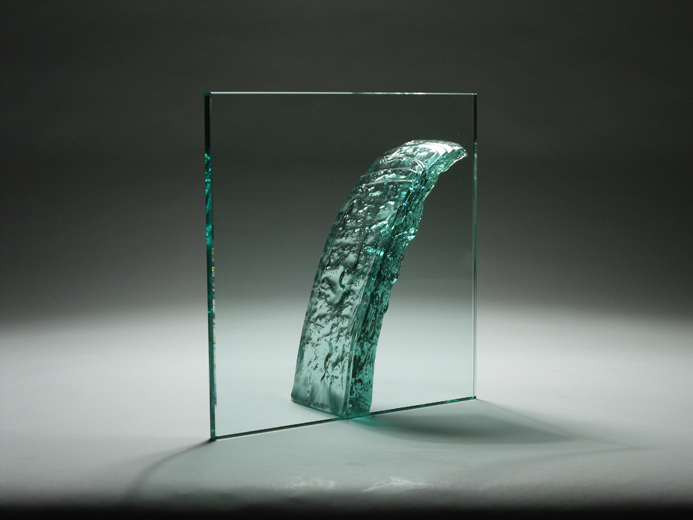 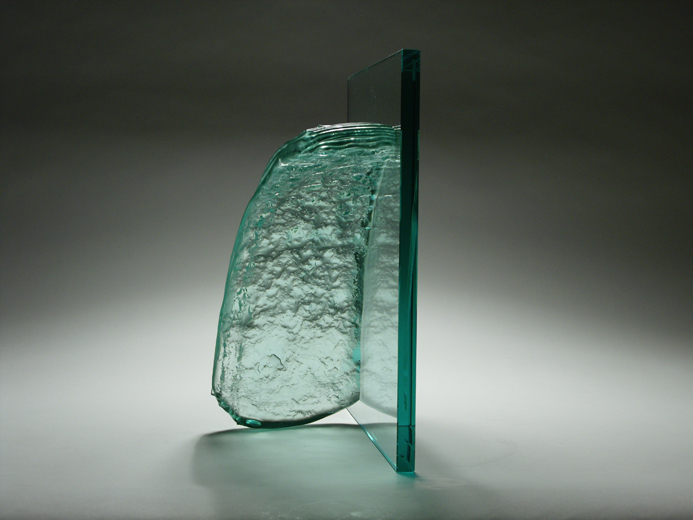 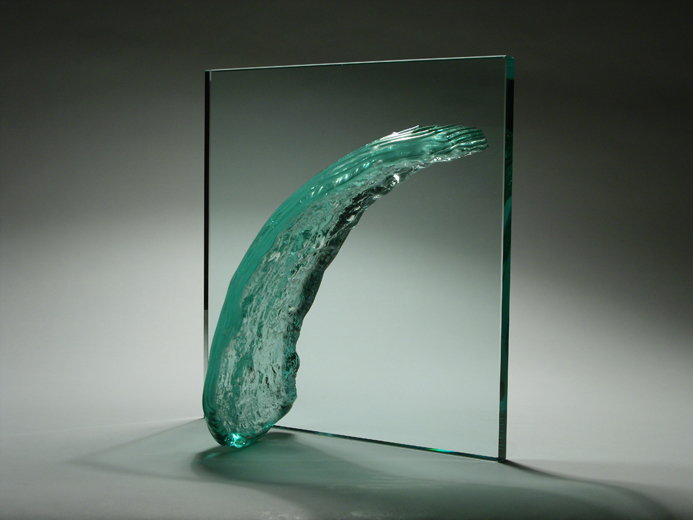 During the open day the studio also had a series of glass waterfalls that were produced with a glass slumping technique. 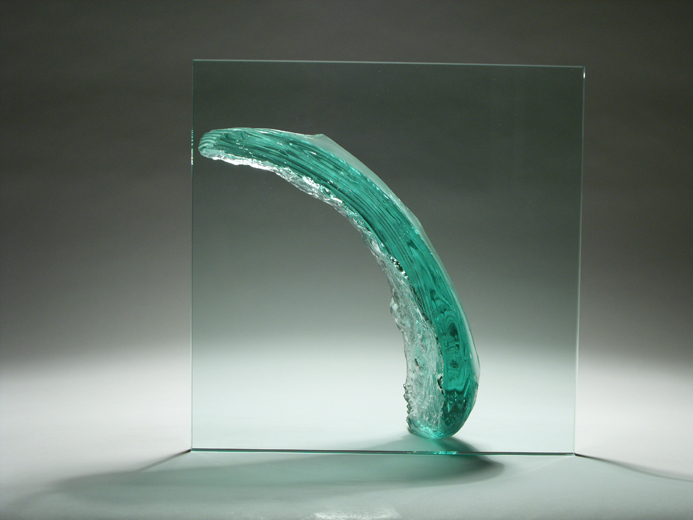 This was developed during the period of the residency under the wise and talented eye of Galia Amsel. 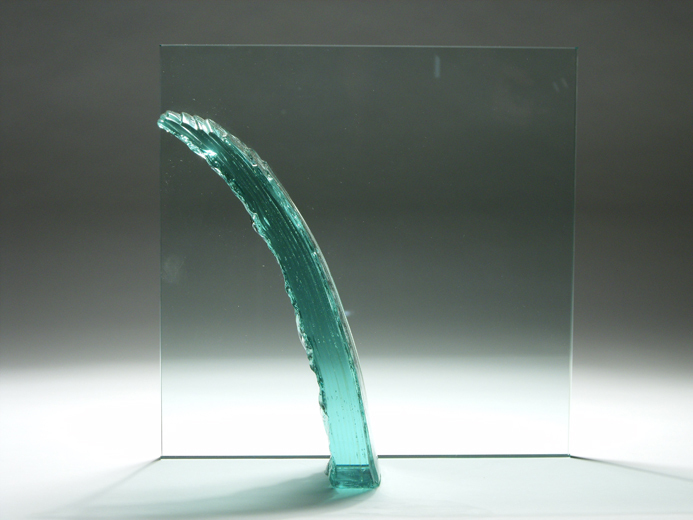 The slumping glass mapped the surface of the shaped pumice and gives the glass the character of liquid passing over invisible rocks. 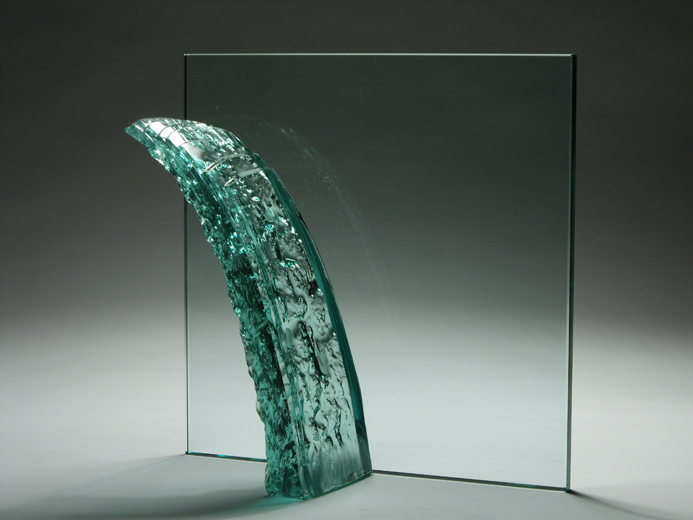 They were mounted on vertical 12mm plate glass that served as both formal reference point and functional support.